Workstation Cranes are designed to meet the needs of a production line that requires a lifting capacity up to 2,000 kg. 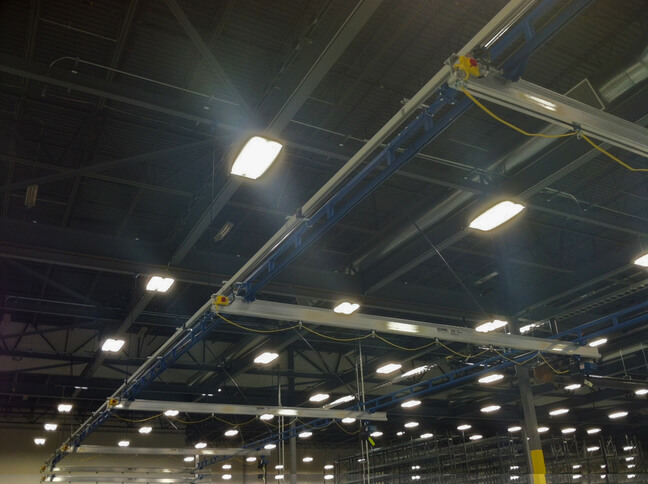 They can be freestanding or mounted on the ceiling with single or double girder bridges. Depending upon the particular facility lifting requirements, they are made of either aluminum or steel. They are used in warehouses, factories and industrial settings. VAHLE offers dependable solutions for your workstation cranes including conductor bar and festoon power systems. We offer over 100 years of knowledge and expertise to ensure your workstation cranes are up and running when needed.